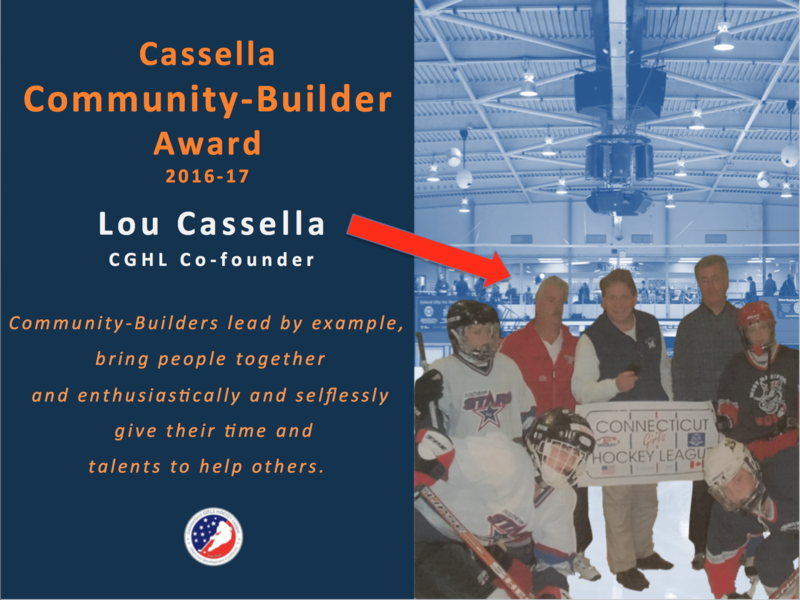 Cassella Community Builder Award | Connecticut Girls Hockey League, Inc.
Community Builders are crucial for the success of our local programs and the CGHL and it’s with great pleasure that the CGHL will recognize our outstanding volunteers. • Often, a humble volunteer who always acts upon the needs of the CGHL community without being asked. • Have volunteered in the CGHL and/or a CGHL local program for many years. • Go above and beyond what is expected of them. • Passionate about our CGHL community. In some years there may be more than one recipient, but this highly prestigious award shall only be bestowed when nominees are clearly deserving.